I run the Sites Module on my local development server and my VPS and thus my composer.json gets a little full and installing new sites is very slow and often requires uninstalling a lot of modules/extensions/plugins afterwards. It'd be cool to be able to request --core to only get core addons, or even like --composer=composer-slim.json that contains a stripped down installation profile so it's more speedy and ready-to-go. Anyone got any thoughts on this? I think it'd be quite useful but perhaps I'm looking at it all the wrong way! Will you eventually install those later then? Or not necessarily? This is for local right since you have a shared environment? It's a mix of local and production environment. In my current setup I add all the modules that I create for websites to the composer.json on my local machine, and then deploy the composer.lock file to my production server via Git. 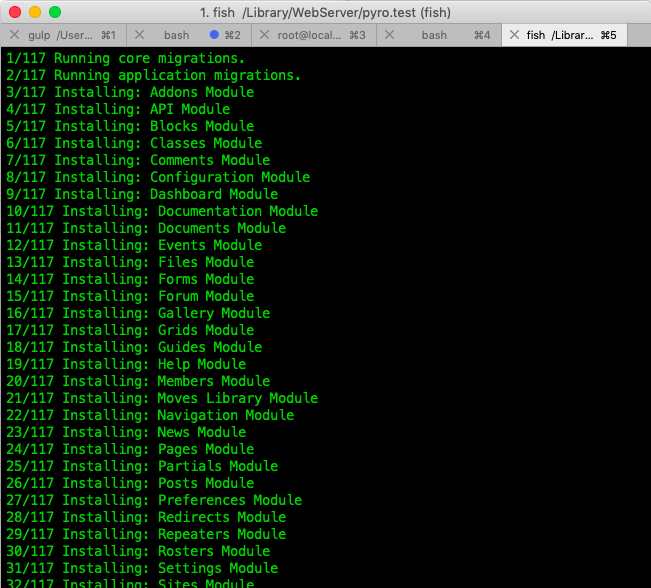 So, on both local and live environments there are a bunch of modules that I don't want to install for a new project (e.g. modules specifically for a different website, or just core modules which that particular website does not require). I know I could write a script to move them from core/finnito to the specific folder in addons after the fact, but that doesn't really fix the installation bloat issue. I generally don't want to install things that I'm not going to use, and I like to uninstall and modules that are not being used for a website, thus cutting down on bloat and what is being loaded.